Come Visit Our Holiday Angel Tree! Every holiday season we display our "Angel Tree" in remembrance of each doggie and kitty that has passed away through out this year. Each angel holds the name of a beloved pet no longer with us, though in spirit continues to live on in our hearts! 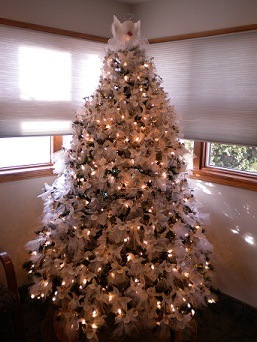 We invite everyone to stop in and view this year's tree. It's beautifully serene and we hope it will make an impression on your heart. Our tree will be on display from December 1st through the New Year.